Yet again, Apple managed to beat Wall Street's consensus estimates by selling over 35 million iPhones and almost 12 million iPads last quarter. In all, the Cupertino company's revenues topped $39 billion. No big deal. Naturally, once brass tacks was out of the way, folks were anxious to pick the brain of Apple CEO Tim Cook. Among the topics brought up: Windows 8 and Android. "Anything can be forced to converge. The products are about trade-offs. You begin to make trade-offs to the point where what you have left at the day doesn't please anyone," Cook said. "You can converge a toaster and a refrigerator but they won't be pleasing to the user." Later this year, Microsoft is set to blur the lines between PC and tablets with "hybrid" devices once its Windows 8 OS hits. Don't expect Apple to follow suit, Cook said. And why would it? The numbers — 67 million iPads sold in just two years — are there for all to see. Seems to me like the company's current business model is already pretty sound. "I've always hated litigation and I continue to hate it," Cook said. "We just want people to invent their own stuff. If we could get an arrangement where we can be assured that's the case and get a fair settlement… I'd highly prefer to settle versus battle." So does this mean a peaceful end is in sight to the numerous patents battles currently being fought between Apple, Samsung, Proview and others? Unlikely. 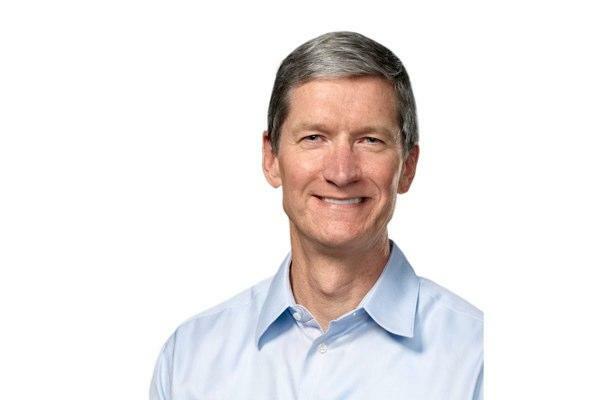 Cook repeatedly reiterated that people need "to invent their own stuff" and said he doesn't want Apple to "become the developer for the world." Still, Cook's words are a departure from Jobs' "thermonuclear war" approach.